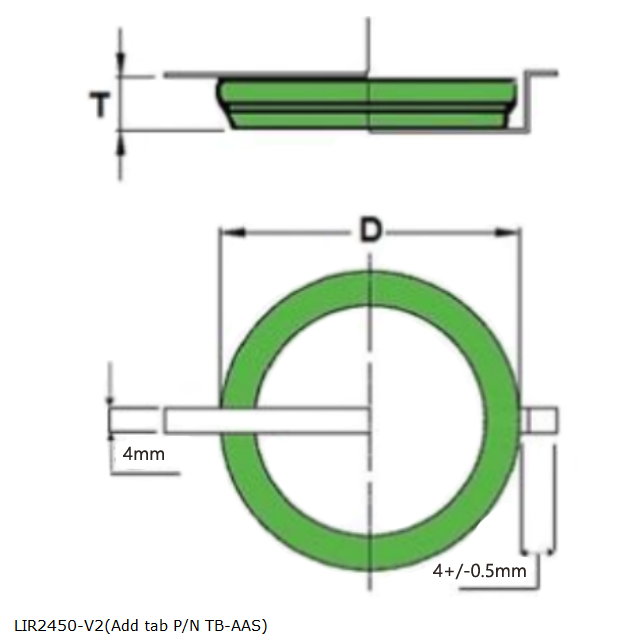 LIR2450-V2: Add nickel soldering tab part number TB-AAS. Protection Short circuit protection during shipment: Come with yellow plastic insulator located between positive / negative polarity. Please read the instruct carefully before use. First time seeking a battery like this. Glad to find this. Not available via local stores. Batteries and charger were delivered on time and at a great price. Batteries and charger were delivered on time and at a great price. What else could I ask for? Excellent service. Parts in stock and delivered on time and per specification.